Sony is one manufacturer that has gained fame across the globe. The brand is well-known in almost any part of the world, producing various high-quality products from smartphones to cameras. Now, if you are looking for the most portable digital camera with rugged construction and great image quality, Sony would be proud to offer you their Sony DSC-TX30! Seriously, this compact digital camera is the perfect answer you are looking for. It is very slim and portable, easy to bring along on trips and travels, yet the housing is weather sealed and the pictures are vivid. Now, let’s take a deeper look on the camera! 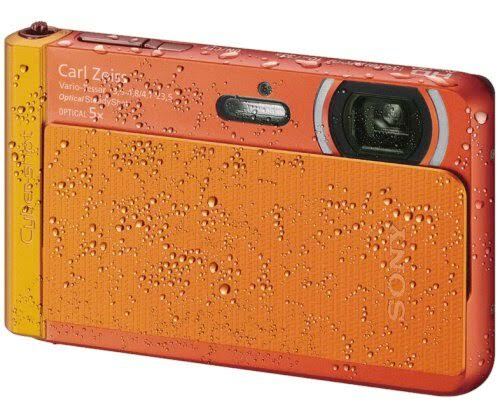 Sony DSC-TX30 is equipped with a very good lens, the Carl Zeiss VarioTessar Zoom Lens. The lens is 26-130mm, F/3.5-4.8, able to provide up to 5x magnification. There isn’t a lot of zooms here, but the 5x optical magnification should be handy for just some distance. It is also equipped already with the Steady Shot Optical Image Stabilization. So, it is very user-friendly. You can still get sharp, crisp, and detailed images even though you shoot with shaky hands. The picture quality is exceptional. The 18.2 MP Exmor R BSI-CMOS sensor performs a great job in capturing and reproducing images. With the high resolution, you can easily get large-sized images with fine details. The colors are vibrant and vivid, with good dynamics. However, this camera is not to be compared to professional models; it only has 12,800 maximum ISO and 1/1600s maximum shutter speed. But, it has good 10 fps continuous shooting speed, and it records videos in Full HD 1920 x 1080. All in all, Sony DSC-TX30 makes a great point-and-shoot camera for trips and travels, being ultra compact and weatherproof. Check the best price of Sony DSC-TX30 here!